My husband and I got married 2 years ago. We had accommodation problems shortly after, so, we moved to my parents-in-law’s apartment and have been staying there for over a year now. I have good rapport with my Mother in Law to the extent that outsiders think I am her daughter. However, there’s one thing my Mother in Law does that I don’t like – she still practises the old culture of using a wife as a slave in the family. Though my husband doesn’t attend extended family function, my Mother in Law will summon me to follow her because my husband is her only son and that makes me the only wife. Anytime we go to family gatherings, even though there’s a caterer to cook and wash plates, she’ll order me to do the washing and partake in the cooking while other ‘senior’ wives gist and watch TV. Last month, her brother’s grandson, a 14-year-old JS2 student, moved in with us. Just yesterday, she told me it’s not right for me to call the young boy by his name and that I should start using ‘brother’ or any pet name. I bluntly told her I can’t because my uncles’ wives don’t call be ‘aunty’ either. She turned it into a heated argument and started swearing. She later called my husband who also insisted I can’t. 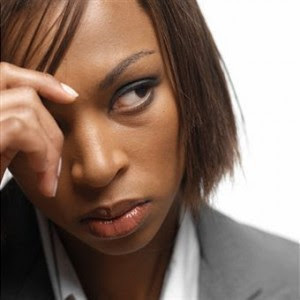 It seemed my husband’s stand got her even more irritated as she came to meet me, telling me matter-of-factly that I need to follow her instructions because they’ve paid my bride price and I reminded her it’s only ‘eru iyawo’ that my family collected as the bride price was returned because of this ‘claim of ownership’. She hit back by telling me sternly that I’d regret not following her rules and called my Father in Law who wasn’t at home to come. Immediately, I called my mum, told her everything and she said I should report back how my FIL reacts. Thank God my Father in Law used wisdom to settle everything. He also said such practice is outdated and my Mother in Law was obviously disappointed. She is still keeping malice with me, wearing a straight face. My husband has gotten an apartment but it’s not completed yet. I can’t stand the tension in the house, especially as I’m in my third trimester of pregnancy. What do I do now or should I apologize and do her bidding?